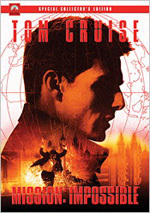 At the height of the Cold War, only a master spy could be trusted to expose one of their own. $310.562 thousand on 4 screens. When the Oscar nominations for the films of 2011 came out, many people expressed surprise that they marked the first time the Academy included Gary Oldman as a potential award-winner. Surely he got recognized for one or more of his prior roles, right? Nope. 2011’s Tinker Tailor Soldier Spy became his first nomination – and maybe last, though one would hope as talented and versatile an actor as Oldman won’t finish his career without an Oscar trophy on his shelf. The film takes us to the Cold War 1970s. British secret agent Jim Prideaux (Mark Strong) goes undercover in Hungary partly to bring in a disaffected general. His boss – known only as “Control” (John Hurt) - wants him to help ferret out a Russian mole within British intelligence, and the general will help identify that person. The operation goes south, however, and ends with Prideaux’s apparent death. 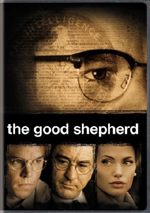 After this failure, the authorities force out Control, and Deputy Chief George Smiley (Oldman) goes with him. Before long, Control dies, but not before he passes on knowledge of the mole. 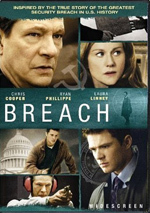 Senior government advisor Oliver Lacon (Simon McBurney) recruits Smiley to return to duty to take over that investigation and discover the leak in the “Circus”. Control had narrowed the possibilities down to five men, and he gives them code names based on a children’s rhyme. These subjects include Director of Operations – and Control’s replacement Percy “Tinker” Alleline (Toby Jones), Head of Personnel Bill “Tailor” Haydon (Colin Firth), Head of Iron Curtain Networks Roy “Soldier” Bland (Ciaran Hinds), “head sleuth” Toby “Poor Man” Esterhase (David Dencik) and Smiley himself, though the last one gets dismissed as a possibility before long. Asked to investigate the mole, Smiley does so. Early on, Tailor developed a reputation as slow, dull and complicated. I can definitely agree with the last one, and partially sign on with the first; while not plodding, the film does move at a deliberate pace that could certainly be interpreted as slow. But dull? I can’t go with that one. While the film does little to create a standard sense of action excitement, it gives us more than enough character and story intrigue to keep us with it. The tale moves in a pretty brisk manner and occasionally threatens to overwhelm with jargon and plot points, but it still ensures that we’re not too confused or lost. Well, mostly. I must admit that when I first saw the film theatrically, I felt it left some dots unconnected. Kind of like the first Lord of the Rings movie, Tinker contains so much information that the initial viewing can push the viewer’s ability to absorb it all. While I didn’t feel lost during that first screening, I did think that it threatened to throw me off the trail at times. A few months later, I don’t feel the same way, but then again, this is my second viewing of the 2011 version – and I watched the 1979 mini-series between the two. Obviously it’s a lot easier to feel connected to a story the third time through, especially when one of those examinations came from a five-hour version. That said, I still think the 2011 Tinker does its job story-wise, and it works pretty well even if you lack familiarity with its characters and narrative. Does it prove more involving and immersive on second or third screening? Yup – while it loses some of the tension that comes with a mystery, it becomes more absorbing since we can keep up with it better and worry less about the “who’s that guy and what’s he doing?” factor. Given the range of Oldman’s talents – and the level of showiness he displayed in films such as Leon, Sid and Nancy and The Fifth Element - it’s interesting to note how restrained he seems here. Unlike his many broader characters, Smiley provides a model of economy. When I thought back on the film after I saw it theatrically, I recalled him as silent and stoic. Of course, he’s not entirely impassive during the film – he acts when necessary – but that interpretation remains pretty correct. Heck, Smiley doesn’t even speak until past the movie’s 18-minute mark! This seems like an unusual choice – and contrasts with Alec Guinness’s warmer, more gregarious turn in the 1979 mini-series – but it’s effective. Oldman’s Smiley may be quiet, but he shows strength and control behind that taciturn demeanor. I’m not surprised Oldman didn’t actually win the Oscar, but I think he created an award-worthy performance. Of course, the film comes with a strong supporting cast as well. In an interesting twist, 2011 Best Actor nominee Oldman works alongside 2010 Best Actor winner Firth, and with folks like Tom Hardy, Jones, Hinds and Strong in tow, we find plenty of solid talent. They help add depth to the film and make it more effective. Given its dense story and lack of overt thrills, Tinker won’t be for everyone, but I think it’s a quality film. It provides a tight encapsulation of a complicated tale that works well on multiple viewings. Tinker Tailor Soldier Spy appears in an aspect ratio of approximately 2.35:1 on this Blu-Ray Disc. Though not killer, the image was more than satisfactory. Overall sharpness looked good, though the film’s style impacted its clarity. To reflect its 70s roots, the flick could seem a bit fuzzy, but not to a huge degree. Most of the movie displayed nice accuracy and delineation. No concerns with jagged edges or shimmering occurred, and edge enhancement was absent. Source flaws weren’t a problem, as the film remained clean. Tinker opted for a fairly stylized palette that favored a chilly blue feel. We also got some dull oranges, but don’t expect vivid hues; this was a generally desaturated piece. Within those parameters, the colors worked fine. Blacks appeared dark and dense, while shadows showed good clarity and smoothness. I felt the image matched the original photography fairly well. The DTS-HD MA 5.1 soundtrack of Tinker suited the film. The soundfield remained restrained much of the time. A few scenes added a little pizzazz, but these were in the minority. Instead, the movie usually went with a general sense of ambience. Not much challenging occurred here, but the track felt appropriate. Audio quality satisfied. Speech was concise and natural, without edginess or other issues. Music appeared lively and full, and effects were pleasing. Those elements came across as accurate and distinctive, though they didn’t exactly tax my system. All of this was good enough for a “B”. When we shift to extras, we launch with an audio commentary from director Tomas Alfredson and actor Gary Oldman. Both sit together for this running, screen-specific look at sets and locations, music, cast and performances, story/script/character areas, cinematography and visual design, and a few other areas. In the body of my review, I mention the film’s reputation as slow and dull. While I don’t agree with that description of the movie, it definitely matches this bland commentary. Frederickson and Oldman just don’t have a ton to say, so the track moves at a plodding pace and doesn’t tell us much. We get the occasional insight here, but I don’t think the chat manages to fill the time well. Six Deleted Scenes fill six minutes, eight seconds. Don’t expect much from these. The most substantial shows a conversation between Guillam and Bland in which they discuss secretaries and cars. The longest lets us watch Smiley as he cooks and eats an egg; no, it’s not more interesting than it sounds. The others simply throw in quick moments, including an utterly inconsequential shot of a secretary as she walks in front of a moving green screen. The Guillam/Bland sequence offers mild bits of interest, but the others are utterly forgettable. With First Look, we get a 13-minute featurette. It includes comments from Alfredson, Oldman, author John le Carre, screenwriter Peter Straughan, producers Robyn Slovo and Tim Bevan, production designer Maria Djurkovic, costume designer Jacqueline Durran, makeup and hair designer Felicity Bowring, and actors John Hurt, Toby Jones, Colin Firth, Ciaran Hinds, David Dencik, Stephen Graham, Benedict Cumberbatch, Tom Hardy and Mark Strong. The piece looks at some story/character notes, cast and performances, Alfredson’s work on the film, production/costume/hair design and period details. A handful of good notes pop up here – mainly connected to the visual components – but don’t expect much. “Look” offers a promotional piece without much more to it. Under Interviews, we find chats with Oldman (7:40), Firth (6:34), Hardy (3:27), Alfredson and Straughan (7:01) and le Carre (31:48). In the first four, we learn about story/character/adaptation issues, the original mini-series and comparisons with it, cast and performances, Alfredson’s work on the film, favorite scenes and a few other production thoughts. These are meatier than “First Look”, but not by a ton; they through out some decent notes but tend to be lightweight. The disc opens with ads for Being Flynn, The Grey, and Pariah. No trailer for Tinker shows up here. A second disc provides a DVD copy of the film. This gives us a standard retail release, not a “neutered” version, so it delivers more value than it might. 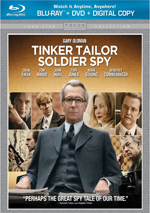 Anyone who expects an action-packed thriller from Tinker Tailor Soldier Spy will leave with disappointment. Instead, it provides a rich, involving mystery with a lot of layers to it. The Blu-ray delivers good picture and audio, while its supplements are average. Despite the spotty bonus materials, the movie itself makes this a worthwhile pick-up.